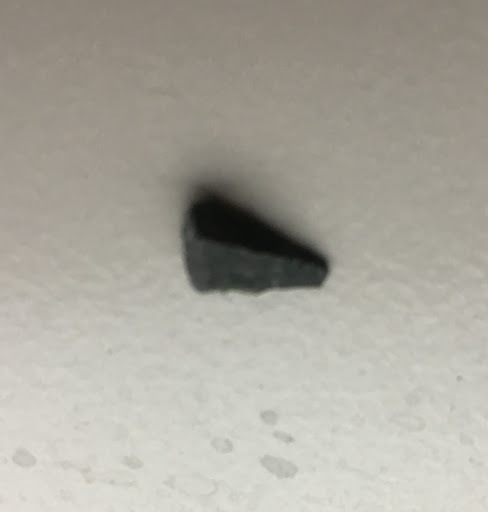 I caught that little bit in my front tire when I was riding over to Tamien Caltrain Station. On some days I pad my commute time a little but not that day–I was timing things to roll right into the station. Especially since I was running late due to the dreaded DST clock change. What about the commute home? Luckily (see, I’m trying to stay positive here) I’ve been through this enough times that I followed through on my “plan a head to have a spare tube handy” just a couple weeks ago and restocked spare tubes after having none around for months–now I actually have a spare at home, work, and in my bag. 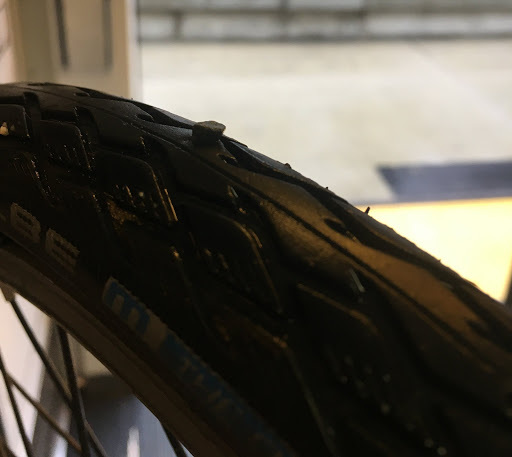 The Schwalbe Marathons put up a valiant fight going on and off the tire but I had the whole job done in about 30 minutes (that includes a re-do since I did not have the tire properly seated on the rim in the first go round). Celebrated with some Tabata intervals outside into a headwind.